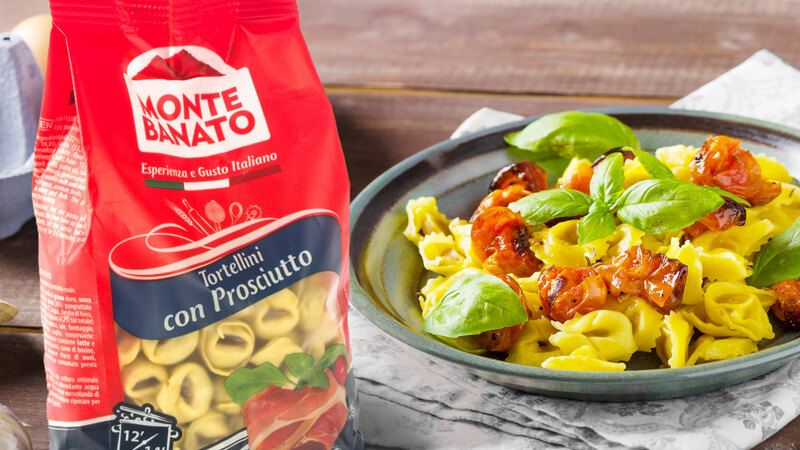 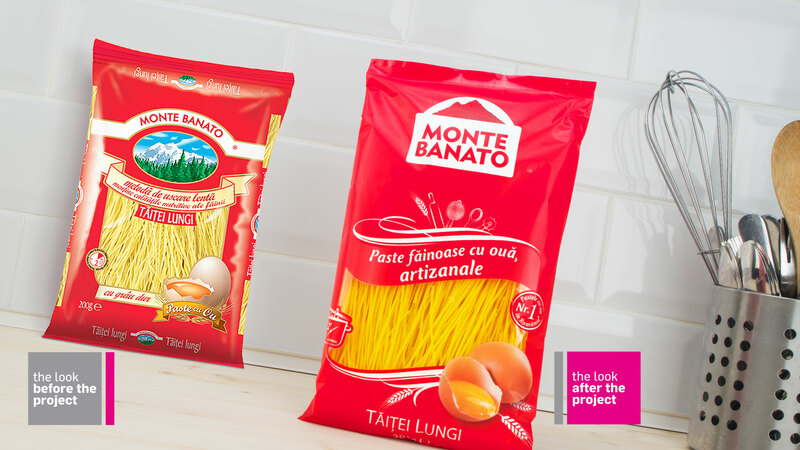 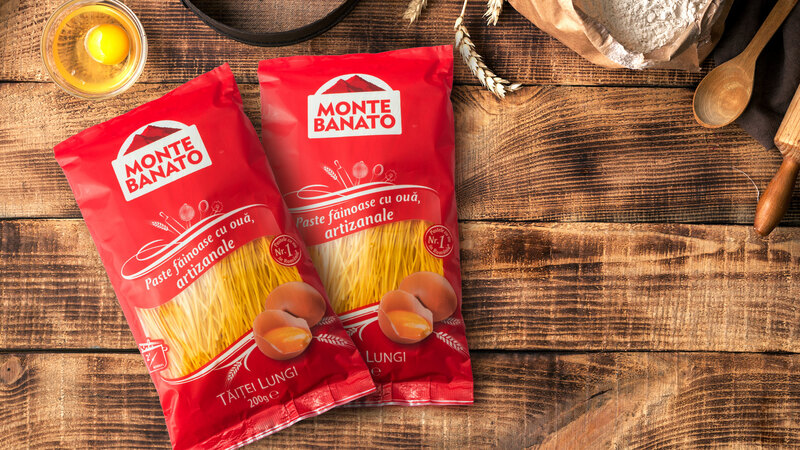 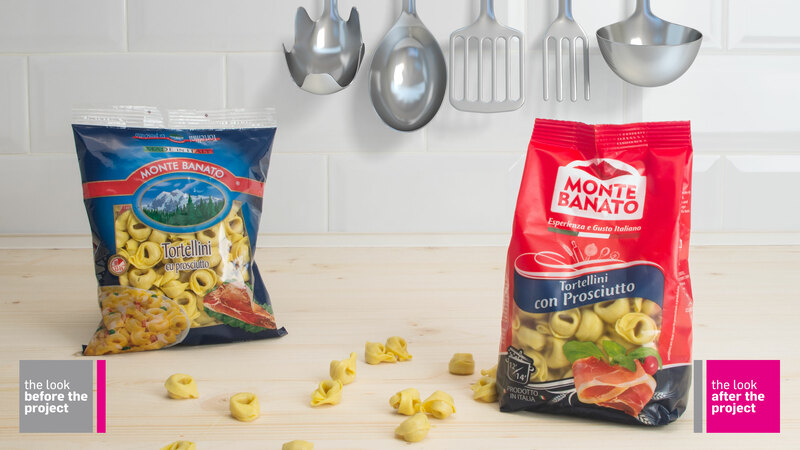 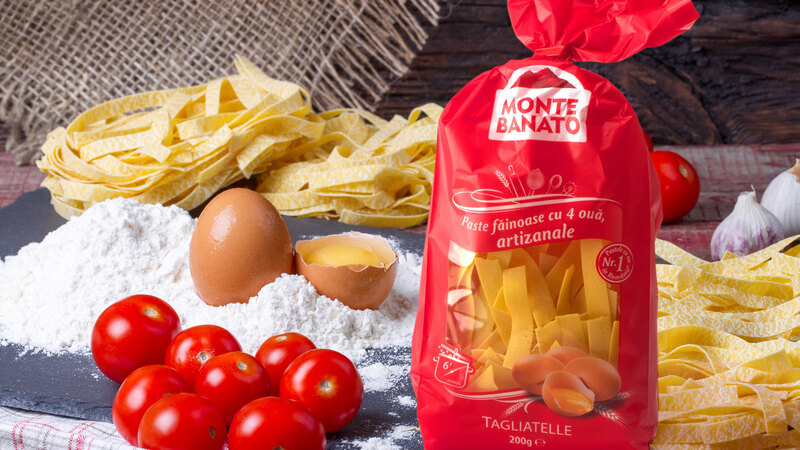 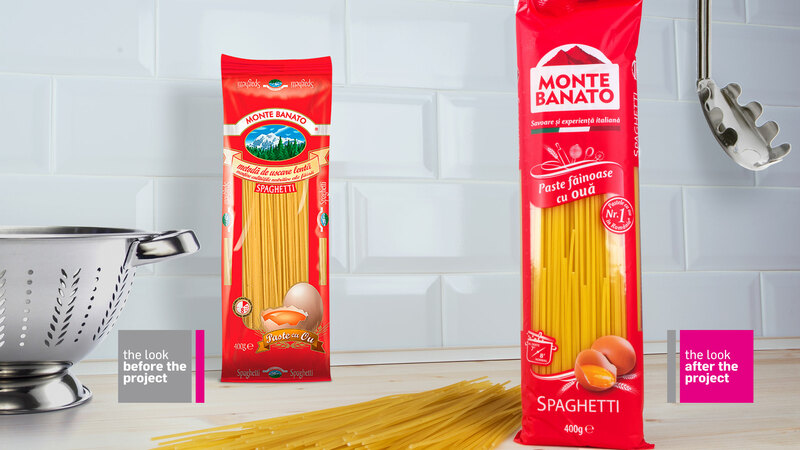 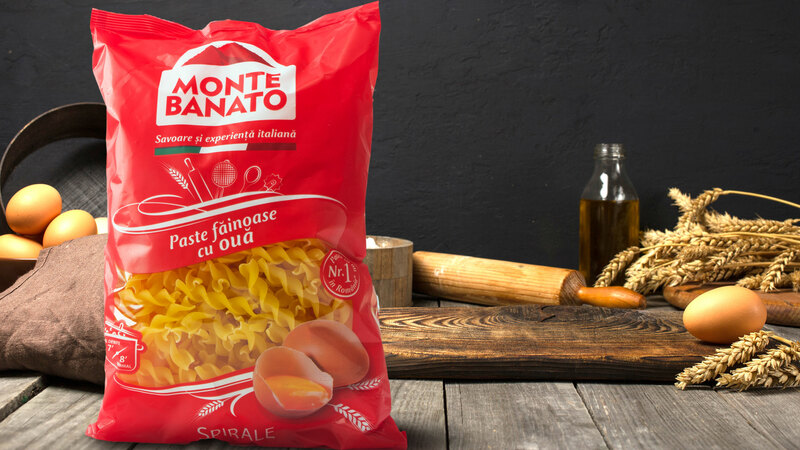 We developed a refreshed brand identity and package design for one of the longest-standing pasta brands on the Romanian market, Monte Banato. 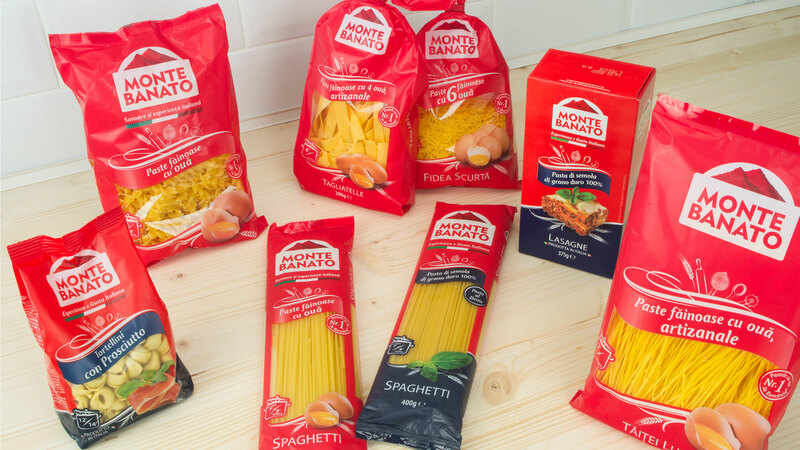 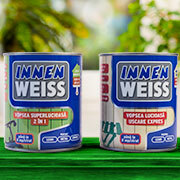 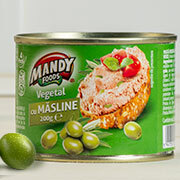 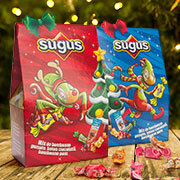 After more than 20 years of market presence, the brand was lagging behind its international competitors in terms of a contemporary brand design approach and a consistent application across its product portfolio. 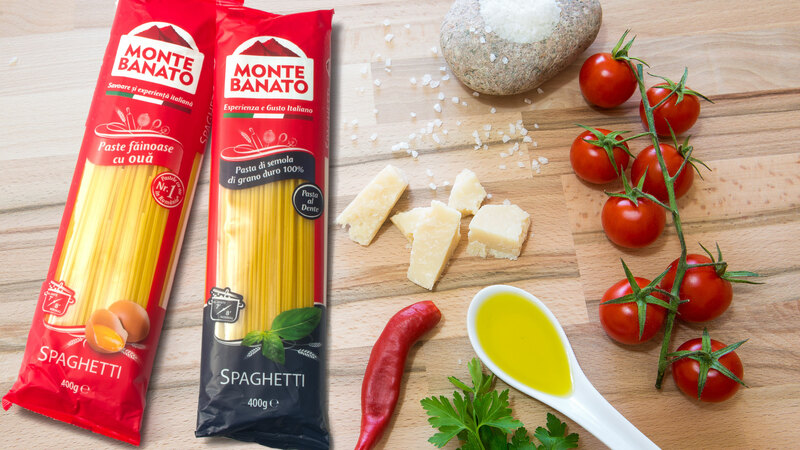 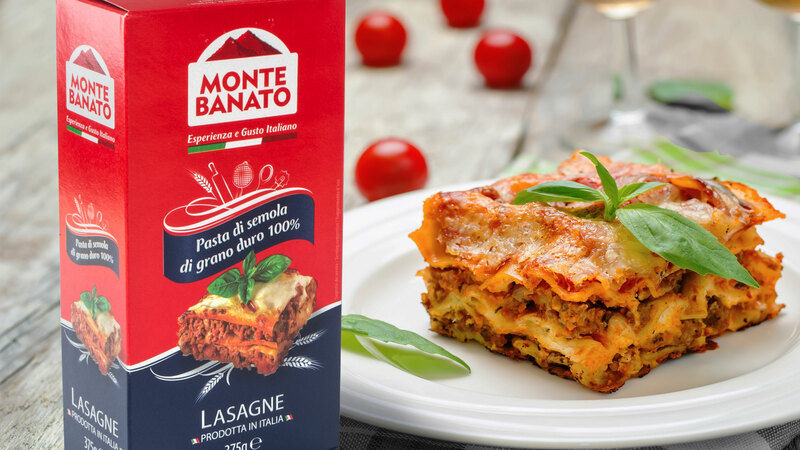 The simple and straightforward design we developed for Monte Banato helped the brand maintain its market leadership on the most important segment, stand out on the retail shelf and establish the boldest red as the brand color.